I am one of those people who like to plan ahead where ever I can. I particularly like to do this when it comes to my blog. I find if I don't have anything in my planner then I feel really lost with what to do with my nails. 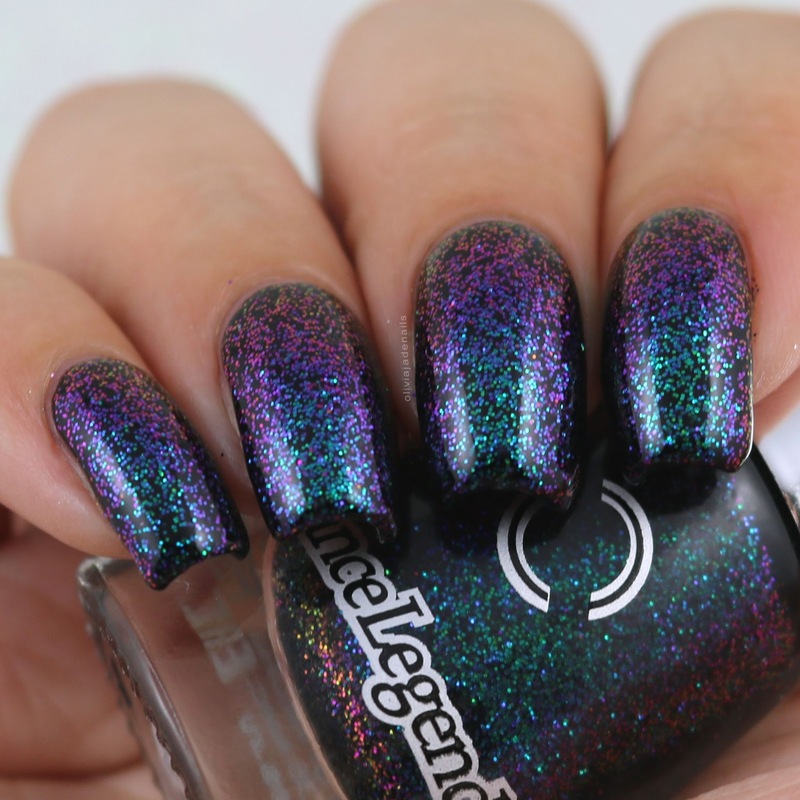 Anyway, some where along the lines I didn't realize until last night that I hadn't actually gotten around to swatching the Enigma polishes I have from Dance Legend. 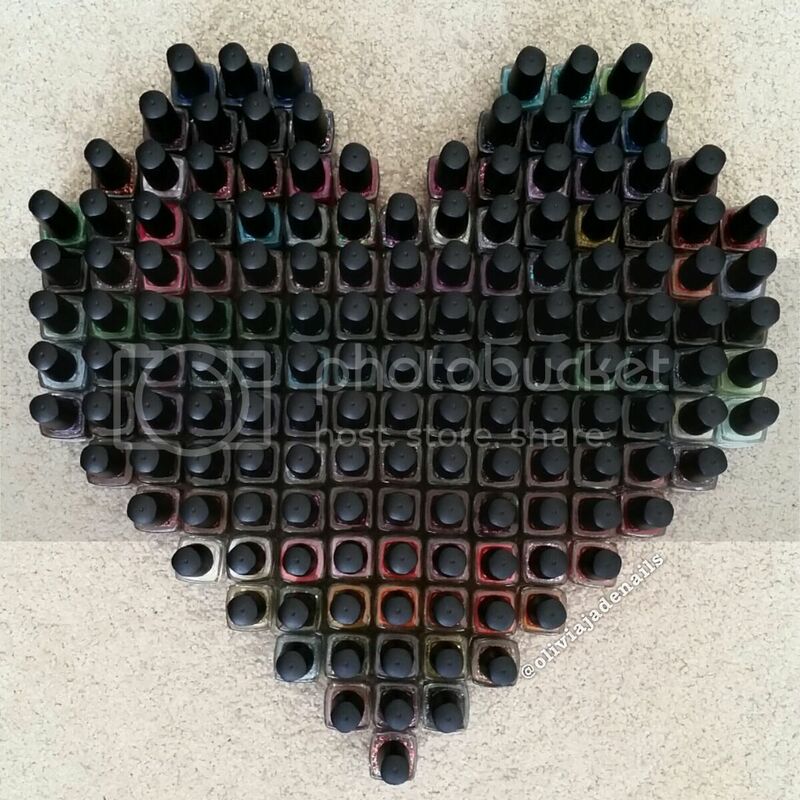 So I will go ahead and apologize for the lack of photos of these polishes. They definitely shift more colours than what I can show in my light box. 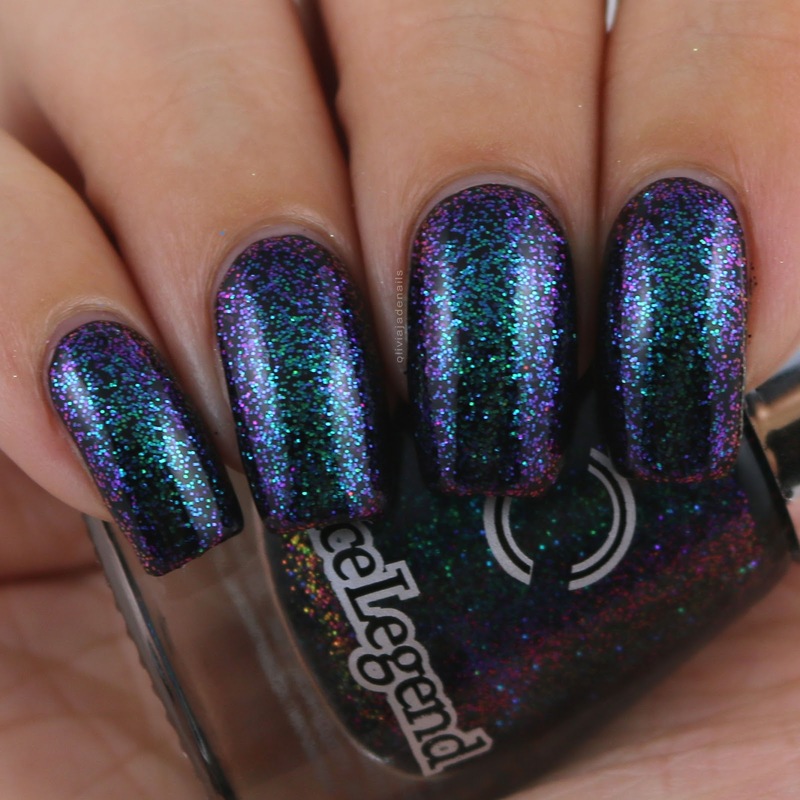 Mea Tulpa is a multichrome glitter that shifts from a greenish blue, blue, purple, pink and gold. Love this one! I wish I could capture all the colours properly. Again, this one is quite sheer so I used two coats over black. 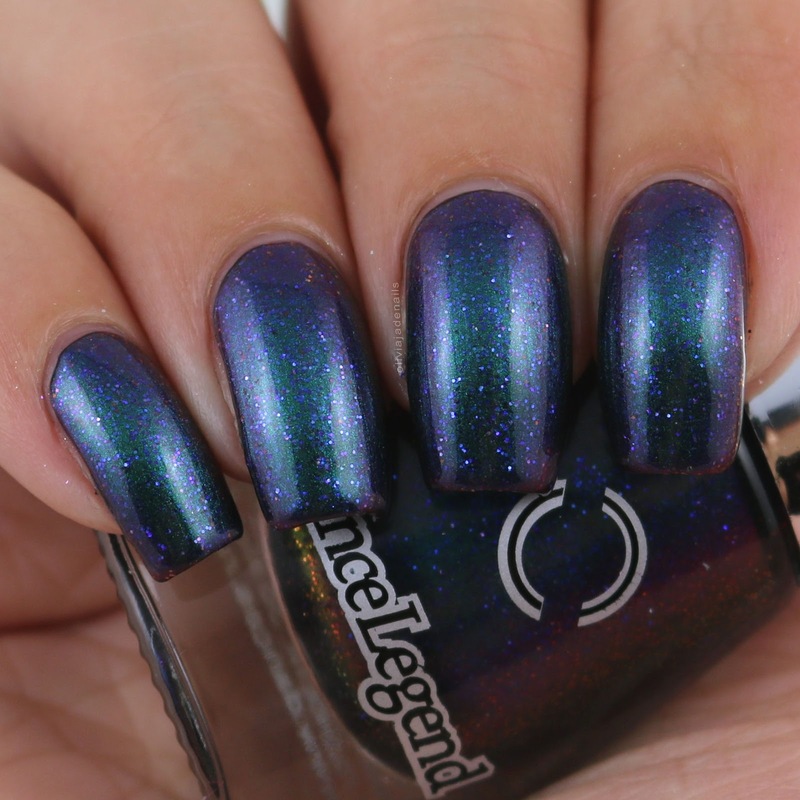 Meanwhile is a multichrome shimmer that shifts between cerulean, blue-purple, magenta and gold. I really like this. I think it looks awesome. It is definitely on the sheer side so I used two coats over black. 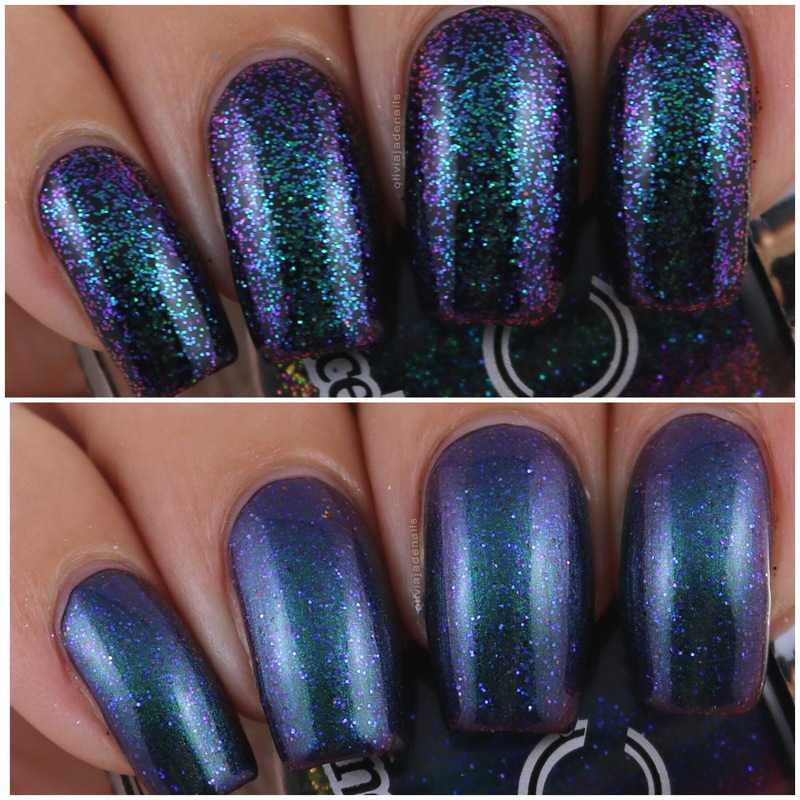 I am such a huge sucker for anything multichrome and these are no exception. I do wish that they weren't so sheer so they could be worn alone, but given I have a one coater black I am ok with these being layered. I will definitely be wearing these again so keep you eyes peeled on my Instagram page because that is most likely where my pictures will end up. 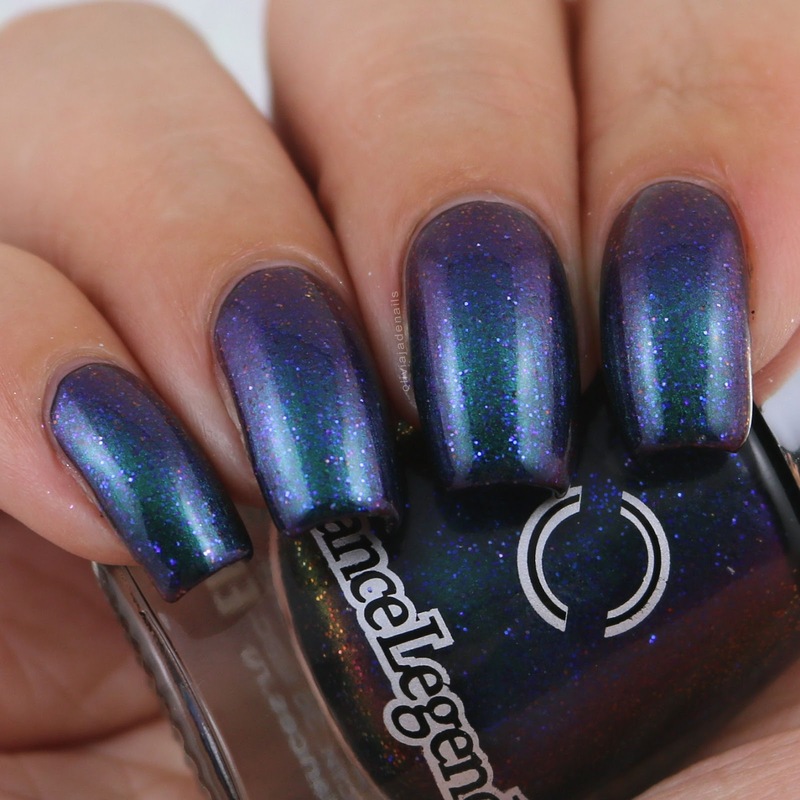 The Enigma polishes are available from Dance Legend (with international shipping).